As a Scot, Yorkshire Puddings are not part of my heritage, but I do rather like them. My mum never made Yorkshires with our roast beef, although we did have Toad in the Hole which is the same batter with sausages cooked into it. There seems to be a bit of mystique around the making of them (a bit like scones) but I've never really had any trouble getting them to rise using the simple recipe below. The lovely people at Mermaid Bakeware asked me to try out their Yorkshire Pudding tin and, never a girl to shirk a challenge, I accepted with enthusiasm. 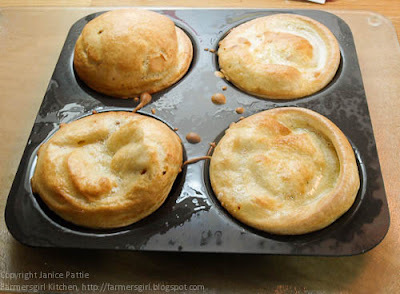 Apparently the first Sunday in February is Yorkshire Pudding Day so it would be rude not to celebrate with some golden brown, puffy puddings, whether you eat them with beef, add sausages or eat them for dessert with golden syrup. I've never had a proper individual pudding tin, I usually just make one big one in a roasting tin so this is a useful addition to my collection. 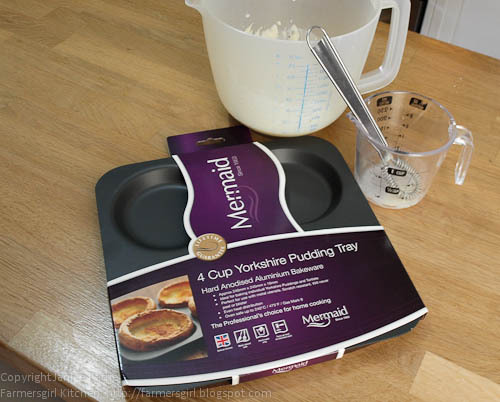 Mermaid have been making quality bakeware in the West Midlands since 1953. The 4 Cup Yorkshire Pudding Tray is made from Hard Anodised Aluminium and is approximately 245mm x 245mm x 16mm. It's oven safe up to 240C/475F/Gas Mark 9, is perfect to use with metal utensils as it is scratch resistant and will never peel or blister. 3. Make a well in the centre, add the egg and mix into the flour. 8. Put the tray into the oven and heat for 10 minutes. 10. Return to the oven and cook for 15 - 20 minutes until the puddings are risen and golden. 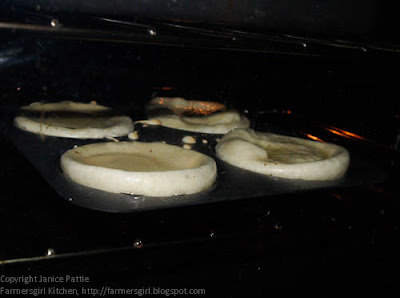 Here is the exciting part, when you see the puds starting to rise inside the oven. 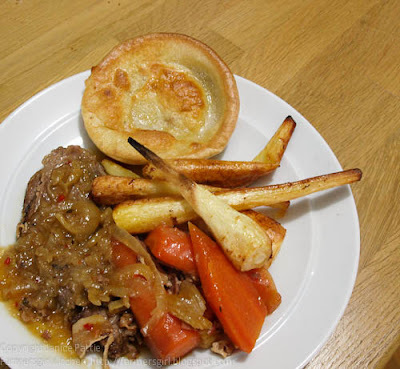 I served the Yorkshire Puddings with a pot roast brisket of beef served with carrots and roast parsnips. See more reviews and recipes from me and my fellow Mermaid bloggers in the Mermaid Bloggers Kitchen and visit the Mermaid on Facebook for offers and competitions. I received a 4 cup Yorkshire Pudding tin from Mermaid Bakeware, I was not paid for this post and all views expressed are my own. I live in Yorkshire, how did I not realise that it was Yorkshire Pudding day tomorrow. Though for me every day should be yorkshire pudding day! Yorkshire Pudding Day you say... yours look adorable but I have to say I am salivating over that brisket. I need that for my lunch today PLEASE Janice!!! Wow Janice your Yorkshires have risen well. Kris would love them. tee hee . . .
Carolyn: I hope you celebrated with a nice Yorkshire pudding! Dom: I'm afraid it's all gone, was a great recipe from February BBC Good Food Mag with incredible French Onion Gravy. Tracey - I'm surprised you don't like Yorkshires, but glad to hear that Kris does. LOVELY post Janice and I am sorry I missed it on Sunday, but as you know, I was making my way down to see Vivien for marmalade with Sue! Your Yorkshires look fabulous and what a great meal for a cold day!